Listen to "The Anti-Federalist Papers" on your iOS and Android device. During the period of debate over the ratification of the Constitution, numerous independent local speeches and articles were published all across the country. Initially, many of the articles in opposition were written under pseudonyms, such as “Brutus”, “Centinel”, and “Federal Farmer”. Eventually, famous revolutionary figures such as Patrick Henry came out publicly against the Constitution. They argued that the strong national government proposed by the Federalists was a threat to the rights of individuals and that the President would become a king. They objected to the federal court system created by the proposed constitution. 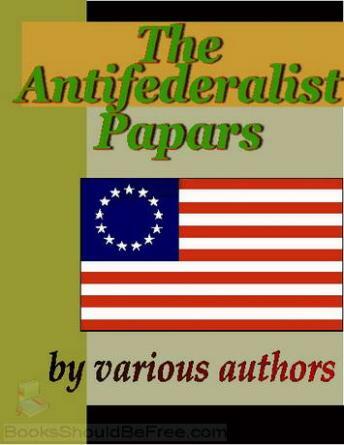 This produced a phenomenal body of political writing; the best and most influential of these articles and speeches were gathered by historians into a collection known as the Anti-Federalist Papers in allusion to the Federalist Papers.